Do you want to give your family an unforgettable vacation experience? Maybe you dream of swimming with dolphins, or spending the day at a world-class water park with your family? If so, booking a cabin on a cruise ship is a perfect answer for your next vacation. 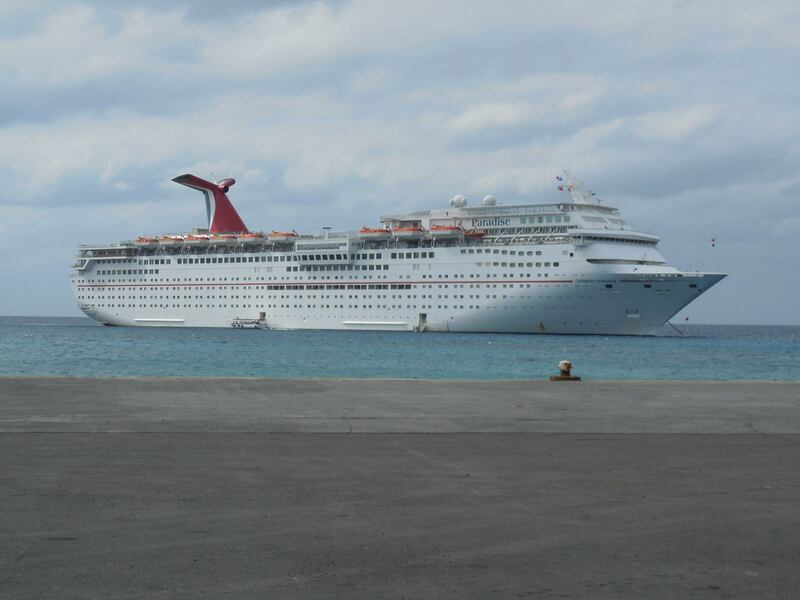 Many people think that it is too difficult to book a cruise with children in tow. The truth, however, is that a cruise is a great option for a family vacation. Most cruise lines now offer a kids club that provides hours of entertainment for your children. We always pre-register our kids before the cruise to save time. With pre-registration, you will only need to attend a brief orientation meeting once on board. Then, the kids are free to enjoy the voyage with dance parties, crafting, and athletic events geared to their age groups. You will have to check your kids in and out a different times (and some ships may not provide meals for your children), but our kids have usually enjoyed the club so much that they dread when we come to pick them up! You will be assigned a table and dining time in a fine dining room when you book a cruise, or you can select a dine anytime option for the same fine dining. The dining room with have a kids menu and the staff is generally very accommodating to small children but this is not your only dining option. Some ships offer dining in the kids’ club, sans parents, with menu items that appeal to younger palettes. But, there are buffets pool-side too. Many ships now offer bistros and cafes with menu items from famous chefs. And there is always room service with chocolate chip cookies and milk for that last snack of the evening. Our kids have been hit or miss in the dining rooms. Even on our Disney Cruise, they preferred the kids’ club to some of the other dining options. But, there are plenty of food choices, even for your pickiest of eaters. Disney tops the list for family friendly entertainment. However, other cruise lines offer options too. When you get your daily itinerary in your stateroom, you’ll find a number of options (from bingo and pool-side contests to Broadway-style shows and comedy clubs). Your itinerary will also list which shows are age-appropriate. And many ships offer family friendly magicians and comedians to make the cruise memorable. If you book a shore excursion, you will pay extra money. But, there are a number of options in each port for adventure, sightseeing, and shopping. Our family spent a day at a family resort, fed rays, toured a butterfly sanctuary, played with monkeys, and relaxed on a Caribbean beach. There are so many shore excursion possibilities –from historic bus tours to ziplining, horseback riding on the beach or driving ATVs – that every family can find something to enjoy. Prices for children are often cheaper than the adult rates. And, as an added benefit, some excursions are free for children 4 and younger. We had an unforgettable time swimming with dolphins (in a maternity pool with babies, no less) and our 4-year-old daughter was free. That’s enough reason to get those kids on board at an early age. The cruise ship shopping expert (yes, they have one of those) can give you recommended locations to shop or eat off ship if you chose not to take a shore excursion. My wife and I have been to Cozumel so frequently that we tour the city on our own at that port. Always be aware of your surroundings, and warn your kids about stranger-danger in port. We have never experienced problems in port, but it’s better to be cautious and prepared. 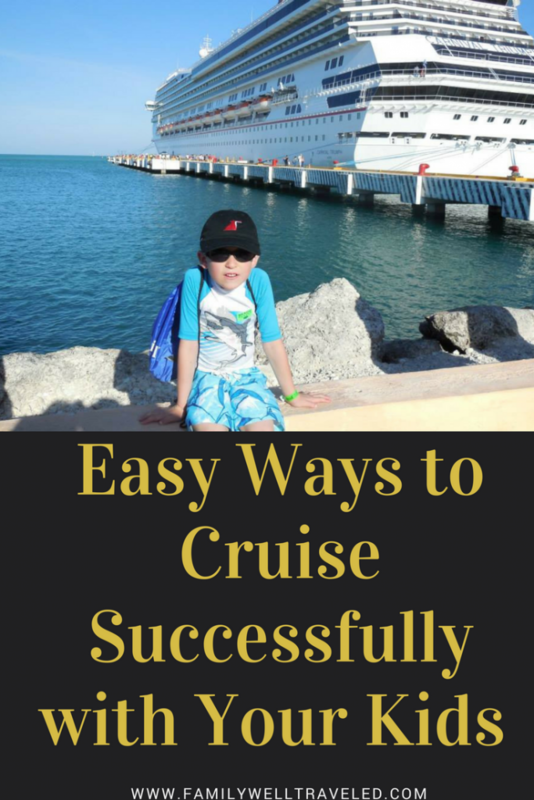 Your kids don’t need a passport to cruise. In fact, if they are 16 or younger, passports are discouraged because a child’s appearance can change so much. We bring their birth certificates when we check in. Also, once on board, you will have a mandatory muster station training. At this time, younger children will get a special wristband to wear the duration of the cruise. When you board, each person receives a ship ID card, which serves as their cabin key and charge card for on-board expenses. You can (and probably should) request that your child is restricted from charging sodas or arcade game tokens to his card. 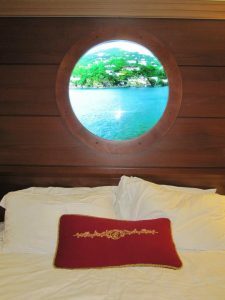 You don’t need any surprises on your bill the last morning of your cruise! Cruising has become our family’s favorite type of vacation. For the price, we haven’t found a better option to get so much adventure and variety. Since you often travel to two or more ports, you can book excursions that engage the interests of different family members, thus making your vacation even more memorable. With a little extra planning and preparation, you too can enjoy a journey on the high seas. Have you decided on to cruise with toddlers? Check out From Toddler to Traveler’s post on Disney vs. Carnival: How to Cruise with Toddlers. Sailing Royal Caribbean? Read our Review of Brilliance of the Seas. Find out everything You Can Do On Board Your Disney Cruise. All photos and content are by Family Well Traveled and use of photos or content without permission will result in legal action. Great! A good job was done with family travelling and adventure as well. Adventure is also a fun which kids are always seeking. Thanks for sharing.